They say it takes 21 days to build a habit, now I don´t know if that´s true, but what I do know is that being consistent in what you want will help you turn that desire into a habit and eventually into your routine. I´ve been doing a lot of reading lately about habits and how they work, today I wanted to share 3 things I´ve learned from all my digging in the hopes that it will help you think about certain changes you want to implement in your daily schedules and how you can accomplish that. When choosing a habit, first think about something that you want to achieve and break it down into simple and positive steps, these will be the habits you create in order to accomplish the goal you had in mind. Obviously this must be something that you do for yourself, and not to please others or because everyone is doing it. If it makes you feel good you will instantly feel motivated to keep going. Start with something small and achievable, something that you can track everyday, this way you will be less tempted to fall off the bandwagon. Remember, not everyone is perfect, we all make mistakes and get off track, but those who quickly get back on are the ones who make it. There is always time to modify or improve certain habits, but it´s easier once they have become an automatic routine for you. Set reminders in your day that will trigger the habit, so that little by little it is something you repeat enough times that it forms part of your routine. The more you do it, the faster it will become a real habit. Use a current habit as the reminder for your new one. By linking something you already do on a frequent basis to a new behavior it will make it easier to adapt to the new change in your routine. It is equally important to establish positive rewards every time you practice your new habit so it "sticks". Everyone wants to feel good and giving yourself a bit of credit for each success is highly beneficial in the process. This is why choosing a habit that is personal to you and your beliefs is decisive. I recently read James Clear´s guide on "Transforming your habits", and one of the elements for building a successful habit is first deciding the person you want to be and then to prove it to yourself with small wins. The change must come from inside you, you have to believe in your transformation and that what you are gaining will turn you into the person you want to be. Habits create the type of person we are today and they will be the factors in the way we live our lives. 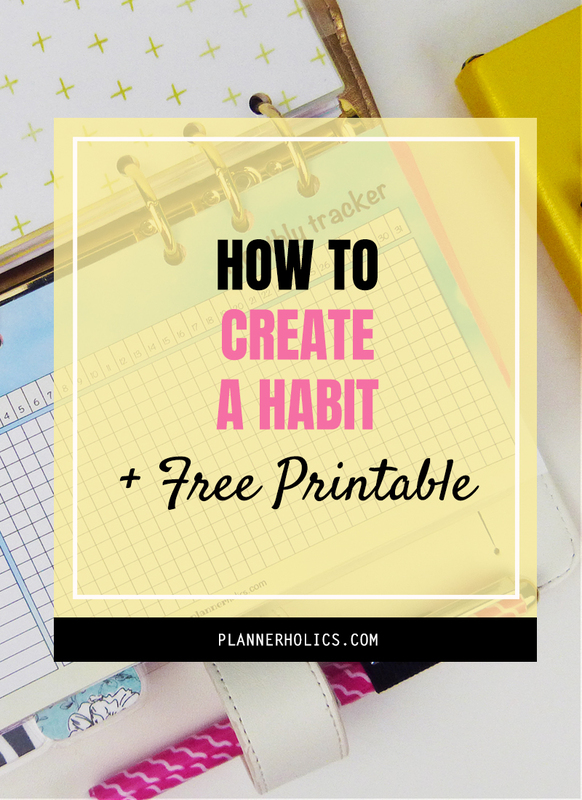 I hope these quick tips helped you understand how habits work and the keys into creating a long lasting routine. 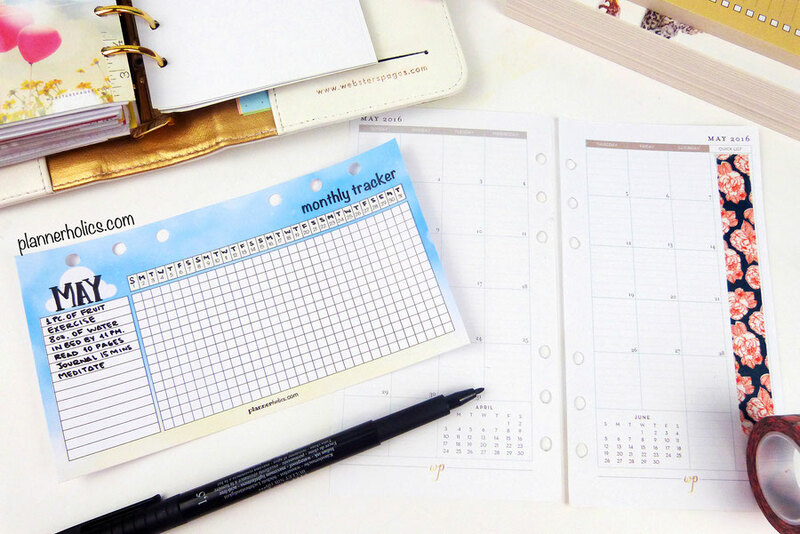 It´s important to keep yourself accountable, so tracking your progress is definitely one step for success and a key motivator. 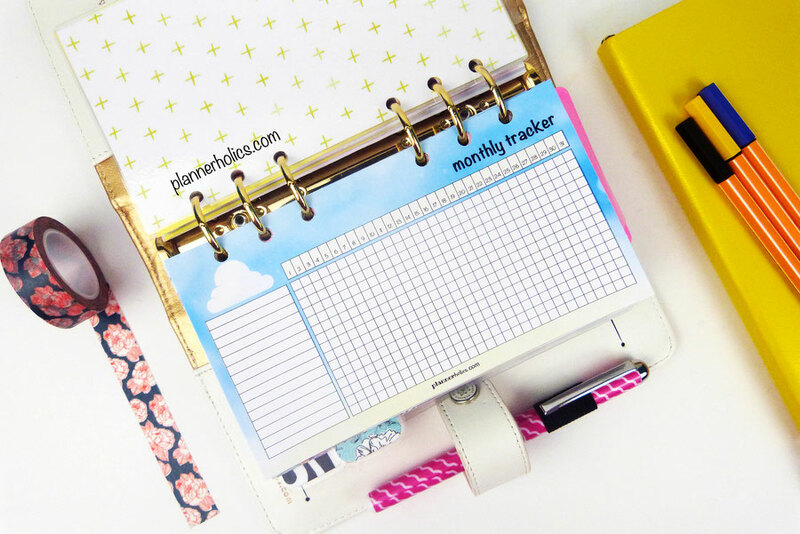 Logging what you want to accomplish will help build it into a regular part of your routine. 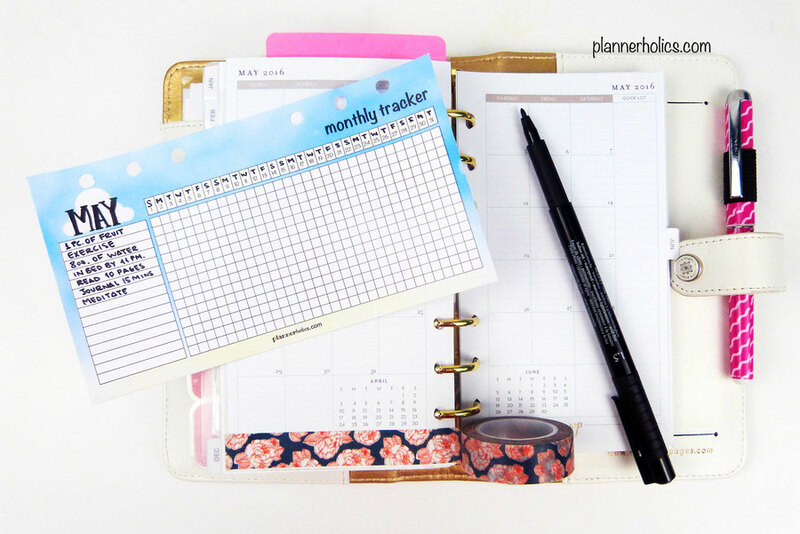 To help get you started I have designed a monthly tracker so you can incorporate your new habits into your daily planning.